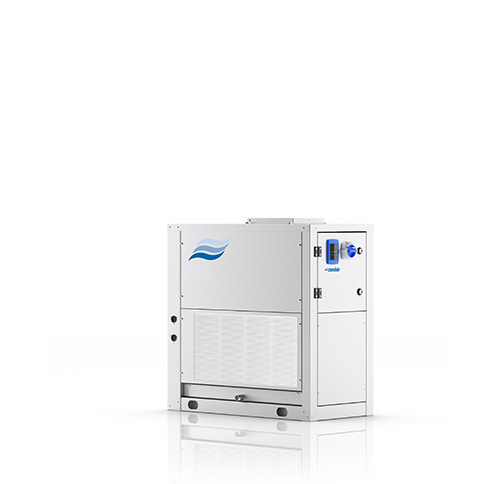 Powerful but nevertheless compact condensation dehumidifier with a refrigerant circuit (R410A), can be used for necessary humidity of up to 45% RH and 5°C. Can be used mobile, stationary, free-blowing or via connection to an air duct network. Versatile customer-specific configuration. Refrigeration circuit in R410A, nominal dehumidification capacity (at 30°C and 80% RH) 73.0 - 95.2 L/day. 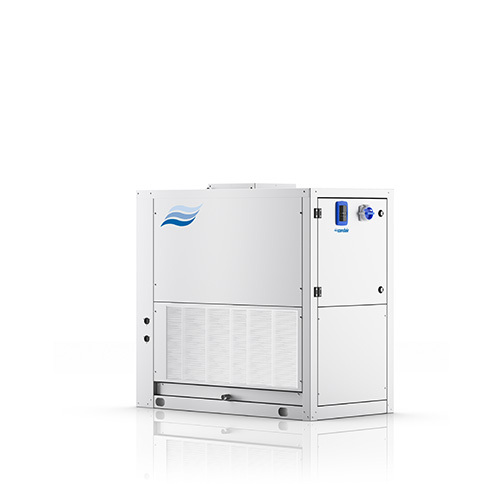 Condensation dehumidifier for dehumidification of medium room volumes. Solid hot-dip galvanized housing in RAL 9006, optionally in stainless steel AISI 304. Integrated electronic controls for controlling all relevant functions. Operating parameters and fault messages shown via display. Energy-efficient and low-noise fans. 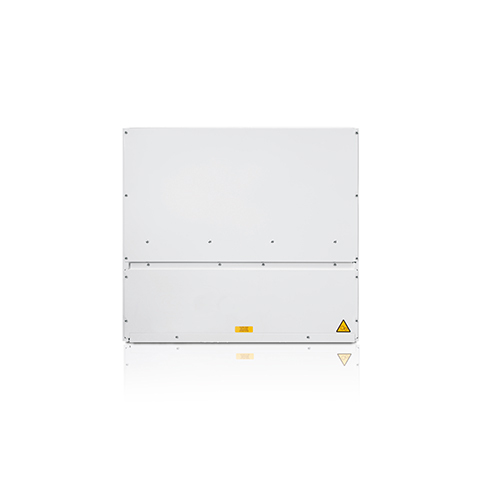 Demand-driven hot gas defrosting ensures economical operation even at low room temperatures. Refrigeration circuit in R410A, nominal dehumidification capacity (at 30°C and 80% RH) 157.1 - 194.3 L/day. 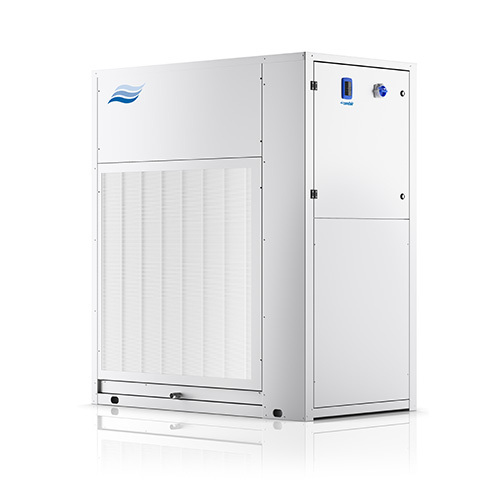 High-performance air dehumidifier for dehumidifying large room volumes for use in industry and trade. The hot-dip galvanized housing in RAL 9006 is optionally available in stainless steel AISI 304. The integrated electronic controls with display ensure optimum control of the refrigeration circuit and thus ensure energy-efficient and safe dehumidification. 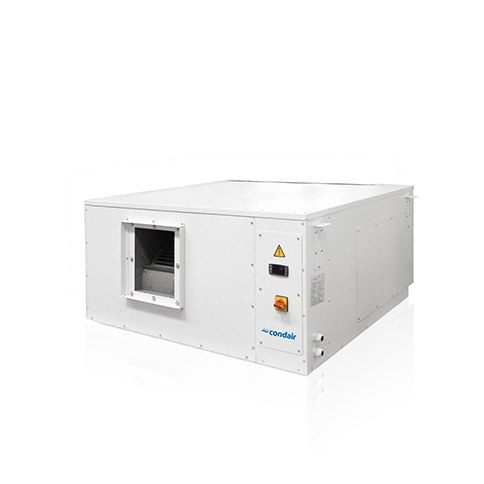 The integrated hot gas defrosting allows economical operation even at low ambient temperatures. Refrigeration circuit in R410A, nominal dehumidification capacity (at 30°C and 80% RH) 263.1 - 418.8 L/day. Particularly powerful high-performance dehumidifier for handling very high flow rates in industrial applications. With the optional stainless steel housing in AISI 304, it can also be used under aggressive ambient air conditions. Integrated electronic controls for controlling all relevant functions. Operating parameters and fault messages shown via display. Energy-efficient and low-noise fans. Versatile customer-specific configuration. Refrigeration circuit in R410A, nominal dehumidification capacity (at 30°C and 80% RH) 566.8 - 939.3 L/day. Chest-type dehumidifier for visible mounting on the wall. 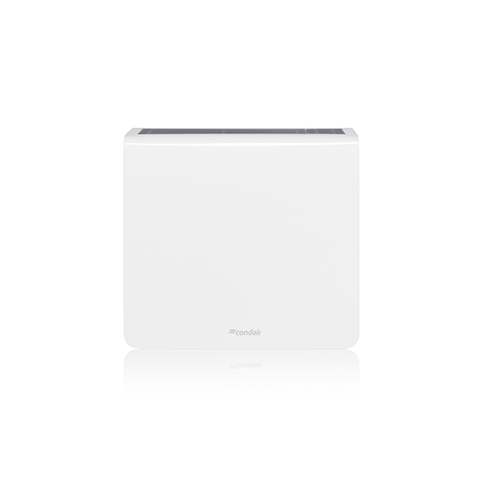 The device has elegant, pure white housing and blends unobtrusively into the architecture. Installation is very simple. 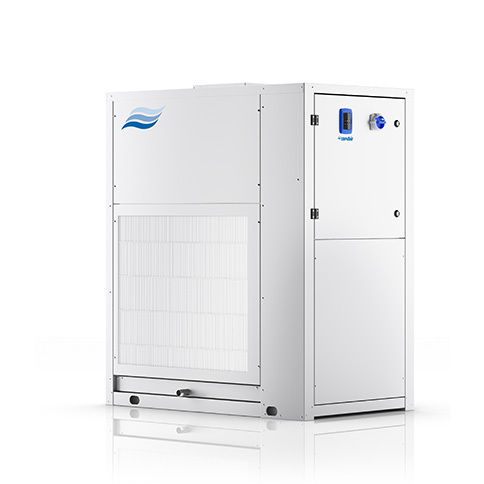 The wall-mounted dehumidifiers with integrated electronic controls cover a capacity range from 49 to 190 L/day (at 30°C and 80% RH). Dehumidifier for rear wall mounting in a neighboring room. Installation in the neighboring room increases comfort, as all sound emitting components are located outside the room. The rear wall-mounted dehumidifiers with an R410A refrigerant circuit offer a dehumidification capacity of 49 to 190 L/day at 30°C and 80% RH. Air dehumidifiers designed for ceiling mounting are particularly well-suited to use where there is no space for a floor unit, for example. The five compact ceiling-mounted dehumidifiers have dehumidification capacities of 49 - 190 L/day (at 30°C and 80% RH) and can be customized with a range of optional accessories.